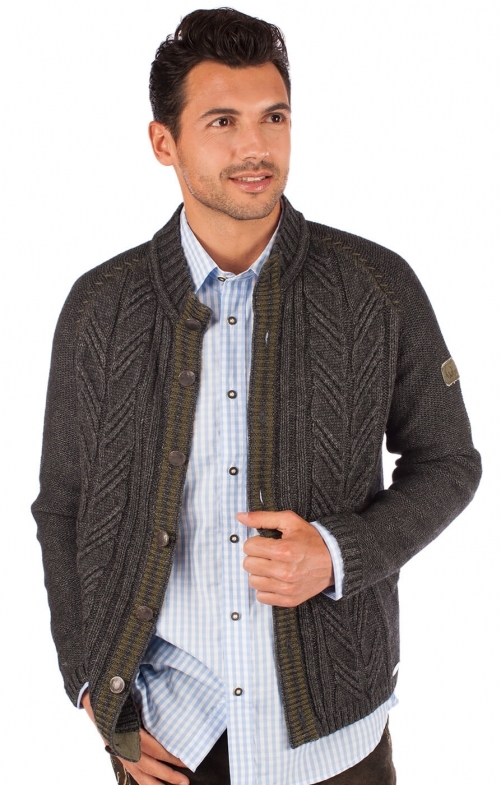 Engadin men’s dark-grey cardigan. This elegant dark-brown cardigan boasts deer-horn buttons running down the front and a bold knit pattern. The cardigan is the perfect blend of tradition and lifestyle and will look great when matched with leather shorts for Oktoberfest, while the high collar is sure to keep chilly winds at bay.